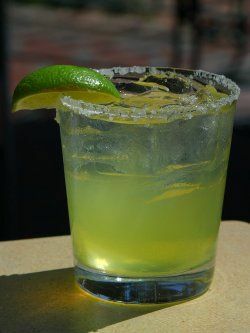 Tequila, triple sec and fresh lemon or limejuice—these are the ingredients of a standard margarita. The proportions may differ and orange liqueurs can be used other than triple sec may be used. Johnny Utah’s, a Western-style restaurant situated in New York’s Rockefeller Center, has both a mechanical bull capable of rendering you eternally paralyzed and a mixed drink, The Vault that can do the same to your wallet. A $300 bottle of Herradura Suprema tequila to mix is used by Johnny Utah in the drink The Vault, along with grilled-lime juice and agave syrup. Particularly missing from the mix is any sort of orange liqueur, though the syrup may make up for that. The drink costs $51 and was regarded as the most expensive margarita. Regardless of whether or not you consider The Vault to be a true margarita, the Riverside Hotel in Fort Lauderdale, Florida, has flattened that record with the Riverside Grand Margarita. This exclusive drink uses freshly squeezed lime juice.